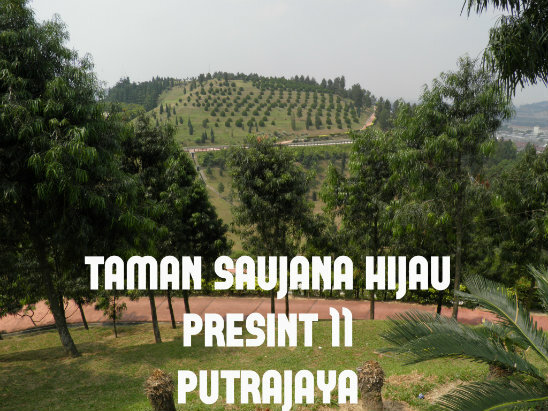 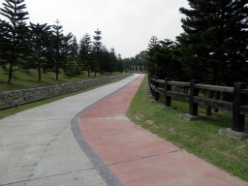 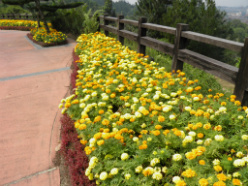 Taman Saujana Hijau is an attractive 41 hectare park covering a ridge and three rolling hills in the northwest corner of Putrajaya's Presint (Precinct) 11. 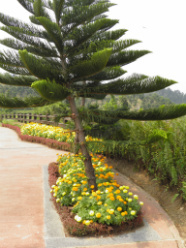 The landscaping is different from other parks in Putrajaya with more use of pine trees and other conifers and less tropical planting. 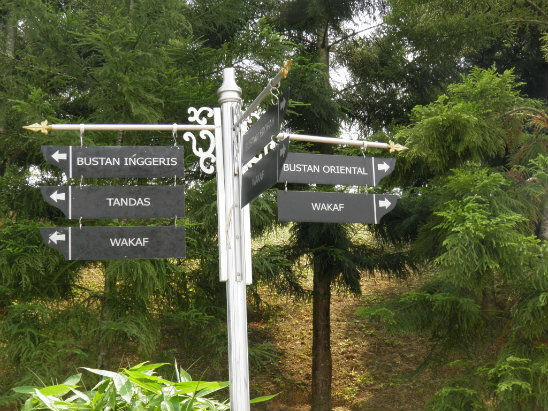 The park is divided into 3 zones; a European Garden, an Oriental Garden and an English Garden (Bustan Eropah, Bustan Oriental and Bustan Inggeris). 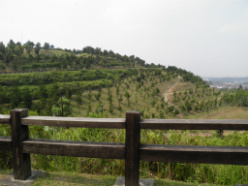 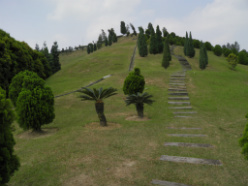 This area is located on the highest of the three hills and provides excellent views over Putrajaya. 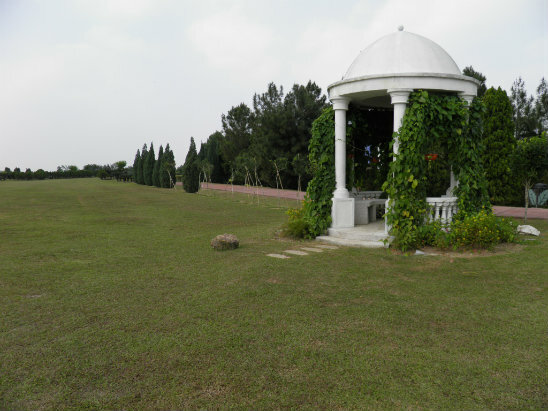 A small pavilion in European style stands alongside an open lawn which would be ideal for playing football except that ball games are not allowed. 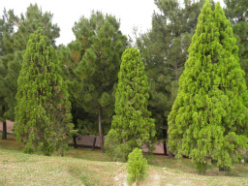 With the open spaces, fir trees and wooded trails there is something of a Mediterranean atmosphere here. 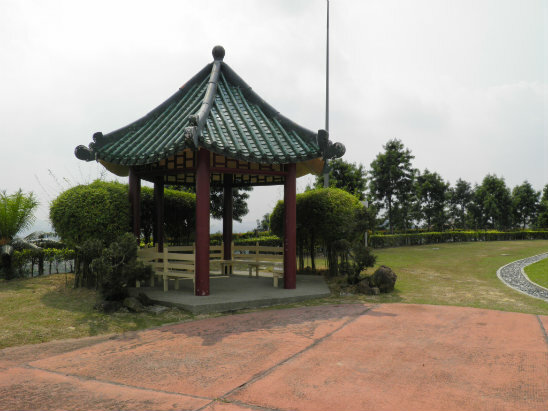 This section is crowned with a Chinese style pavilion and has greater use of tropical vegetation. 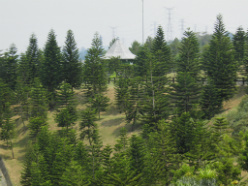 The shelters in this park have been equipped with a lightning protection system (basically a tall mast) and visitors are warned not to stand next to the masts during a thunderstorm. 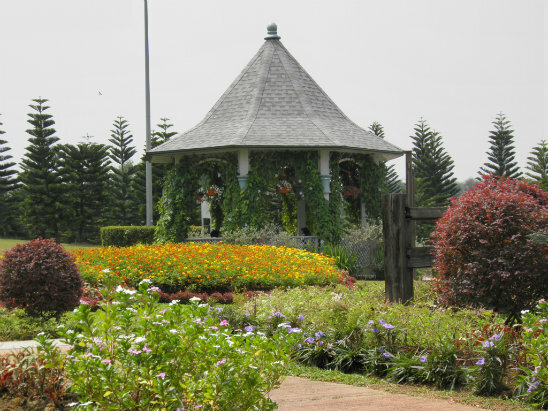 The English pavilion is an attractive gazebo surrounded by colourful flower beds. 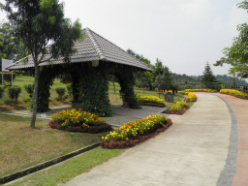 Only the weather is different from England! 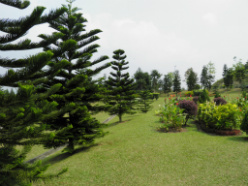 There is not a lot of shade in the park though it may improve as the trees mature. 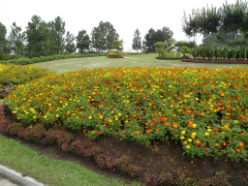 Too avoid the hot sun it is better to visit in the early morning or late afternoon. 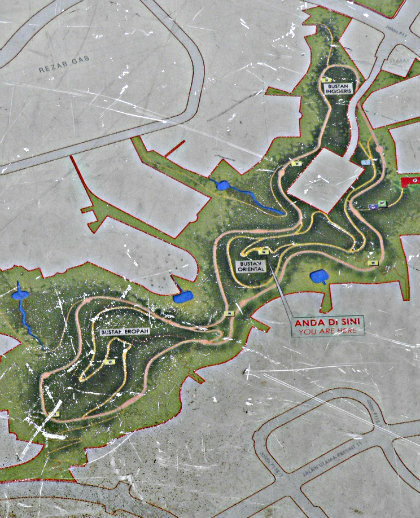 The location is marked on my map on the Top Putrajaya Attractions page. 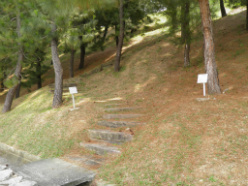 If you are driving, just follow the signs to Presint 11 and once you are there follow the brown signs to the park.